Most readers have probably heard that Los Angeles Mayor Antonio Villaraigosa — who also serves on the Board of Directors of Metro — was in a weekend bicycle accident in which he broke his elbow. It was a serious enough injury to warrant surgery, which according to the mayor’s office went well. The mayor was cycling in the bike lane on Venice Boulevard when a taxi pulled in front of him, causing the spill, according to Villaraigosa’s staff. (More on bike lanes in the city down below). If you’ve ever fallen hard on an elbow, then you know exactly how painful that can be. Here’s our get well message from The Source: We hope the elbow is back to 100% quickly Mr. Mayor because you still have a lot of hands to shake and hugs to administer to get the 30/10 Initiative approved by Congress and to implement the latest version of the city’s ambitious bike plan. The Los Angeles planning department last month released its proposed bike plan for the city. It’s worth a read. 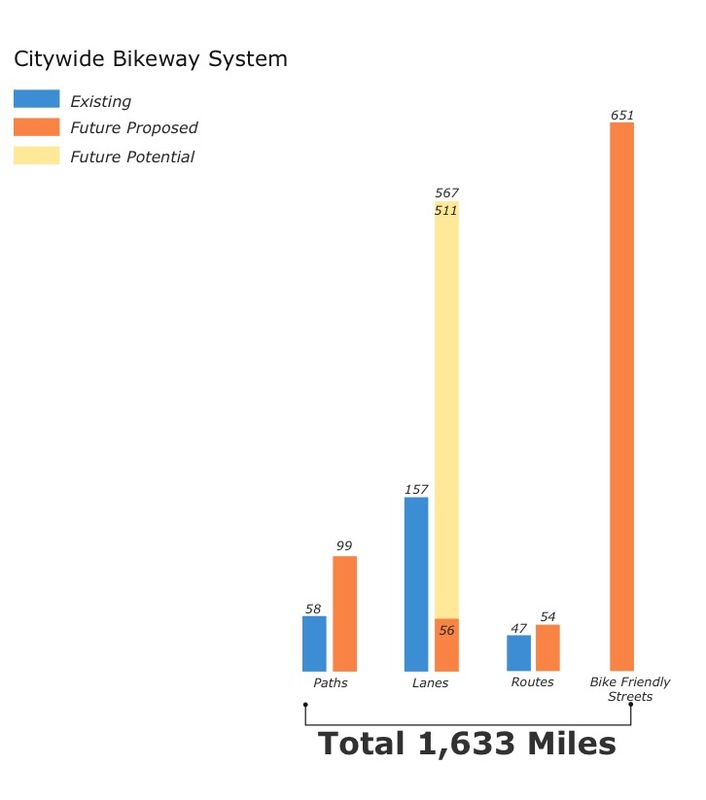 The plan proposes to increase the city’s existing 339 miles of bikeways to 1,633 miles. Two basic networks of routes would be utilized: a citywide bicycle network would focus on putting bike paths and lanes along major streets at regular intervals and a neighborhood bicycle network that would create routes across the city on quieter streets with lower traffic volumes. The city of Portland, Ore., has such a network and I can tell you from personal experience that it’s great. Here’s a link to the bike plan on the planning department’s website. Chapter three describes how the two networks would work. It’s also worth noting that the city has said it will dedicate 10 percent of its share of Measure R funds to bicycle and pedestrian improvements (15 percent of all Measure R funds are returned to cities in L.A. County for transportation projects). It’s the first time that the city has had a dedicated source of funds for bike improvements, say officials with Villaraigosa’s office.